As much as I enjoy being in Beaune, it is a small city that can feel claustrophobic at times, so it is nice to get out a little every now and then. Bistrot du Bord de l’Eau is located in Hostellerie de Levernois, just a few kilometers outside of Beaune. The Hostellerie is a gorgeous Relais & Chateau property with a luxury hotel, an elegant restaurant, a golf course and a host of other amenities. I always enjoy the simplicity of the Bistrot because the food, wine and service are top notch, while the ambiance is informal, a great combination in my book. The dinner menu is offered in two versions; appetizer/main/cheese or dessert for 34 euros, or appetizer/main/cheese/dessert for 38 euros, both exceedingly reasonable. There are usually three choices for each course. 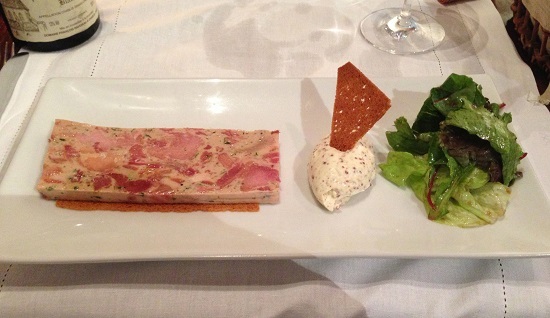 Jambon persillé, the traditional Burgundian ham terrine, is presented in an updated, refined interpretation. It is absolutely delicious. The mixed grill consists of morsels of duck, chicken and lamb, all perfectly cooked. There is nothing fancy here, but after a week of eating in Burgundy, simple is just fine. Our cheeses are outrageously delicious. I am reminded why I love being in France so much. Cherries are one of my favorite summer foods, and the clafoutis, another traditional, comfort food, is elevated at the Bistro. 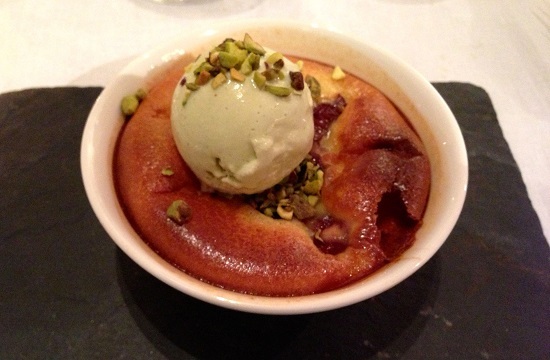 The scoop of pistachio on top is the perfect end to this fabulous dinner. The Bistrot’s wine list is extensive. Chablis is one of the sweet spots, especially for fairly priced wines with a little bottle age, something that is increasingly hard to find. There are plenty of choices for reds too, but finding the best values does require a bit of time and effort, as they are sprinkled among the region’s more coveted bottles. Still, the list does contain a number of wines that are hard to find in the US. 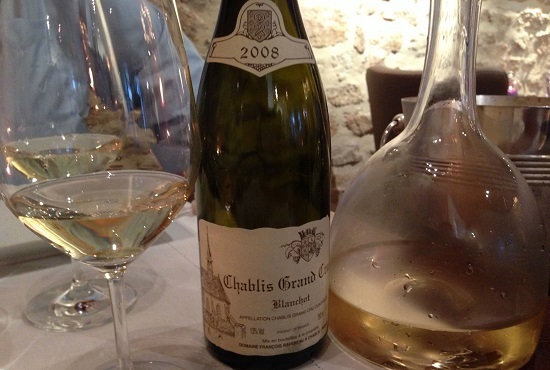 I can’t pass up on Raveneau’s 2008 Chablis Grand Cru Blanchot. A spectacular magnum of the 2001 Les Clos a few weeks ago was a great prelude to a recent visit to the domaine, a tasting that left me with an intense desire for a bottle with a little age. This is it. What a gorgeous wine. Still quite youthful, the 2008 Blanchot takes several hours in the decanter to start opening up, but even then only reveals a fraction of its ultimate potential. Still, there is plenty to enjoy in the creamy, expansive flavors and enveloping texture. 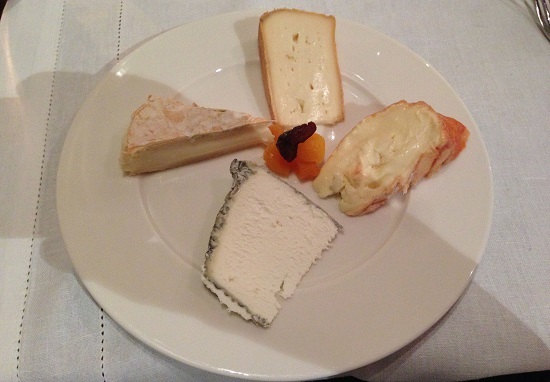 The Blanchot is especially delicious at the end of the dinner, with our cheese course. Readers holing the 2008 will want to cellar it for at least a few years, as the flavors aren’t fully open yet. 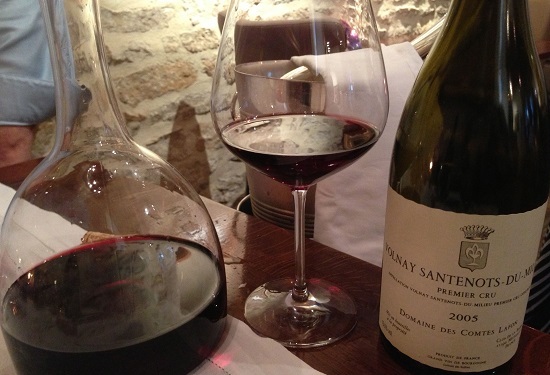 The 2005 Volnay 1er Cru Santenots-du-Milieu from Comtes Lafon is superb. Having recently tasted the 2009, 2010 and 2011, I am curious to see where the 2005 is. Still a big, broad-shouldered wine, the 2005 is beautiful, open and expressive on this night. The wine’s breadth and pure power are both impressive. At the same time, slightly angular contours and drying tannins, especially on the finish, are impossible to escape. The 2005 remains a striking Santenots, but it is also a bit burly. I don’t see the 2005 ever becoming one of the more polished vintages, but would also like to taste it in another 5 years to see if it has acquired a measure of elegance that today is elusive. 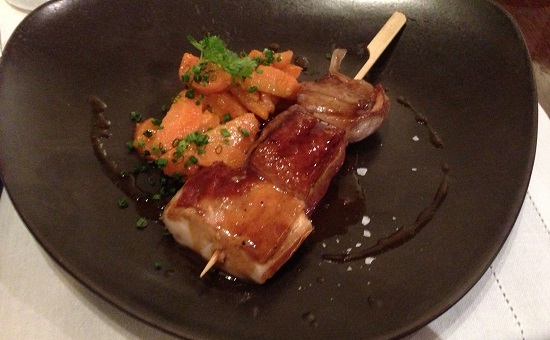 Readers spending time in Beaune should make a point of stopping by the Bistrot du Bord de l’Eau. It is without question one of the best values for top-notch eating and drinking in Burgundy.